THESE DONUTS ARE WAY TOO CUTE, TASTY AND ALSO FANTASTIC! 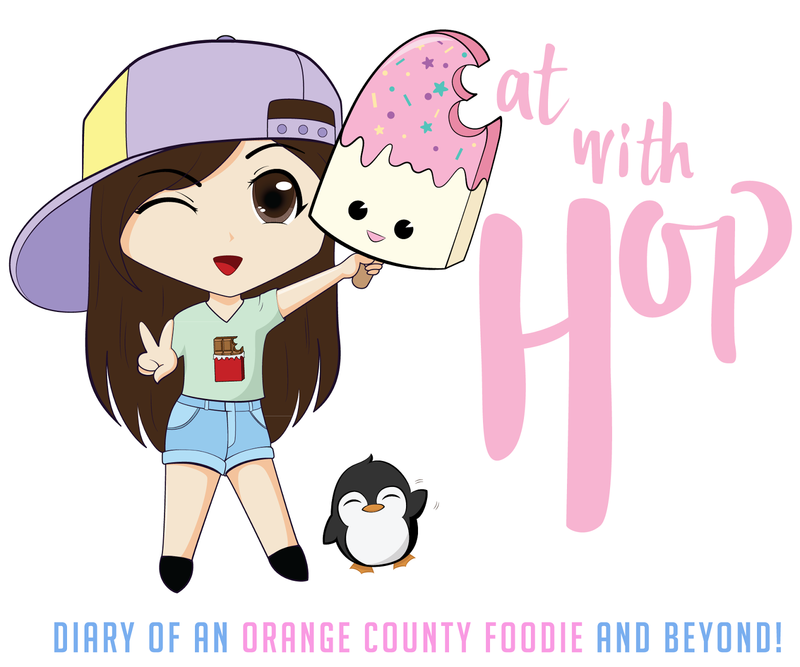 - KTOWN LA - EAT WITH HOP! The regular sized character donuts are usually available without pre-ordering. I came to Fantastic Donuts at around 10pm and they still had such cute ones! I got the cow, penguin, bird, and bear! Last year, I also ordered CUSTOM DONUTS! In addition to custom donuts, I also ordered DONUT HOLES! These cute character donut holes are only available through pre-order. I had to put my hashtag on it! LET'S #EATWITHHOP ! The creators decided to put a red heart so it wouldn't look so plain. Good eye on design! I had a special request that was a bit of a challenge for the Fantastic Donuts team. I asked them to write "DAISUKI" in Japanese writing which means "really really like" or "love" depending on how you interpret it! This was to be given to Kevin as a surprise gift! So there is this inside joke going on with one of our friends named Timmy. He's always using the wrong hashtagh #eatwithouthop so you know... I gotta show him what the correct hashtag is, on a donut of course. The donut holes are the perfect size! I actually like donut holes way more than donuts. Bite-sized is the best! Here's a nerdy bear donut. CUTE RIGHT?! Ever heard of California Donuts? The super hyped up place that offers Instagram-worthy donuts that always has a long line? Well, that was the first Insta-worthy place I've ever heard of when it comes to donuts. People take such nice photos and the designs are well... colorful. But people should move on over and start lining up at Fantastic Donuts instead! I found this spot on Instagram as well and their character donuts are soo much cuter in my opinion. This place is underrated in comparison to California Donuts. I also think Fantastic Donuts tastes better too! Donuts are cheap in general and I think these donuts are priced reasonably for being super cute! Not only that, but there is cream / jelly filling inside of these cute donuts! Of course, you can get the cute ones without filling if that's not yo thing. But I found this price point to be better than California Donuts because I think theirs is a bit more expensive and there's no filling! Whenever I go to Fantastic Donuts, I usually see an old man helping me. I think, maybe he owns the place? I am not sure but he is nice! When I ordered customized donuts, the girl that does the orders and designing is very friendly and helpful! We contacted through e-mail and everything was clear and professional. I got exactly what I wanted! I ordered a bunch of character donut holes and a few regular sized donuts with custom lettering! I delivered some donuts to Kevin to surprise him with the donut that wrote "Kevin daisuki" (in Japanese!) and delivered the rest to some friends at Daiso! Everyone loved the donuts! I've tried the Thai Tea donut there once and thought it was subtle but still good. Their other donuts are pretty solid. It's your regular glaze donuts and are sweet. I wouldn't eat these all the time, but they are a great treat! Oh, and don't get me wrong about California Donuts. I just think their donuts underwhelmed me when they look so delicious. They do have unique creations of their own like snickers donuts and twix donuts and etc.! 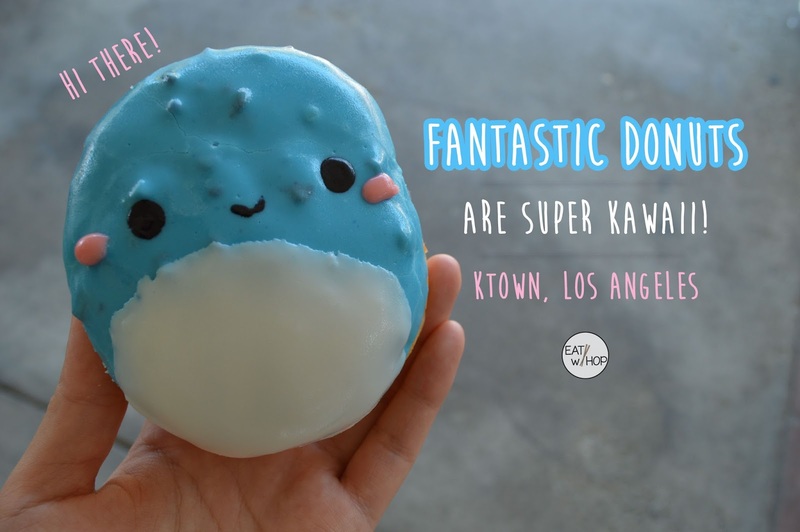 ANYWAY, GET YOUR SWEET KAWAII FIX OF DONUTS FROM FANTASTIC DONUTS! *Find out how to order and view more photos and samples on their site!